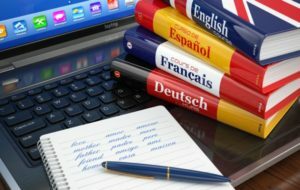 Translation of all types of scientific and technical literature, patent, technical, export-import, legal and other documentation: from 40 foreign languages ​​to Ukrainian; from the Ukrainian language into 30 foreign languages. Examination of the quality of written translations with the assurance of their adequacy by a corresponding bilingual (Ukrainian-English) seal of the company or a stamp of the Chamber of Commerce and Industry of Ukraine. Interpreting (including synchronous) during symposiums, conferences, presentations, seminars, negotiations with representatives of foreign companies, installation of imported equipment, etc.